This week's wrap up of what's interesting and relevant in the world of internet marketing begins with changes to the way Gmail displays pay per click ads; we’ll also look at Twitter's new monetization strategy; Google Places’ plans to engulf Hotpot; a big milestone for StumbleUpon; and finally a tool to check your username's availability on over 150 social media sites with one click. Google has announced a plans to better the Gmail ad experience. By utilizing the same technologies engineered for its Priority Inbox feature, Gmail is set to make some big changes in how it determines which ads you’ll see. Fewer irrelevant ads sounds like music to the ears of pay per click advertisers. In an interview with none other than Howard Stern, Twitter cofounder Biz Stone talked about the company's monetization strategy for the coming year. Twitter plans to charge advertisers and brands access to their "fire hose" of "extensive data and analytics behind every tweet." They also announced plans to develop Facebook style pages for brands. It will be interesting to see how this plays out. Last November Google announced Hotpot, a "local recommendation engine powered by you and your friends." Not less than 6 months after its inception Google is ditching the Hotpot name and incorporating all that user generated goodness into Google Places. Yet another reason why a little bit of positive buzz and Google Places can do wonders for your business. Social bookmarking site StumbleUpon has seen massive growth in the last year and just recently surpassed 1 billion stumbles per month. If you never used the site, it works like this: you tell StumbleUpon what you like and it provides recommendations based on your preferences; use it for a few weeks and its predictions will astonish you. Trying to find a great social media username can often be a tough task, finding one that’s available can be even tougher. With the help of namechk you can check your username’s availability for up to 160 social media sites. Is your username taken? find out. 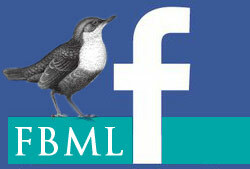 Social Media Marketing	Facebook: FBML No More. Make Way For IFrames!